While high-lighting amazing women in all kinds of fields, & industries on this platform, I also like for my writing to demonstrate depth, & start honest conversations, & dialogue within the culture about the public figures, taste-makers, & celebrities I high light. I also feel in life it is important to address all elephants in the room directly as you progress along your journey. Artists should be judged & evaluated in the music industry based off what their purpose, music, brand/persona, & the credits/accolades/awards they receive state about them. There should be no room for personal prejudices or biases based off physical looks, ethnicity, sexual gender, etc… when judging someone’s music. & records. So without further ado let’s dive in today’s piece! If you haven’t heard of Stephanie Janet Acevedo by her online artist name, “Stephanie Acevedo”, than you’ve definitely seen her beautiful image floating around online everywhere! (Especially if you an avid social media user.) Boasting a steady growing fan base of about 349,000+ Instagram followers at the present moment, she is gaining the attention of the industry by being aligned with the Young Money power players, & taking incredible model photo shoots showcasing her amazing physique. Stephanie’s occupations can be described as a glamour model/ singer-songwriter/ & ring-girl with Championship Fighting Alliance MMA League. Stephanie graduated from Miami Dade College as a medical student, & while being featured on numerous magazine covers, she also did work with Telemundo as well. It is also known that legendary soul singer, Ms.Betty Wright, is Stephanie’s vocal coach! This shows in my opinion, Stephanie is very serious in honing her craft, & is willing to learn from people more experienced than her in order to excel to higher plateaus . 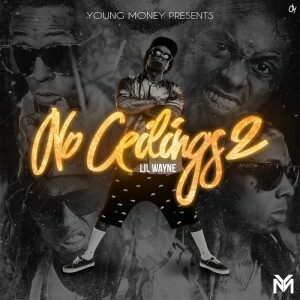 A key attribute in becoming the next big superstar on the Young Money label. 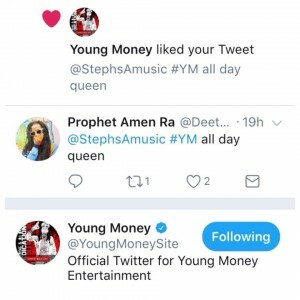 It is said Stephanie officially signed to Young Money Ent. in 2015 after knowing Lil Wayne & Mack Maine personally for a few years prior. Both her, & label-mate, pop songtress, Christina Milian, signed to the Young Money label in the same year. 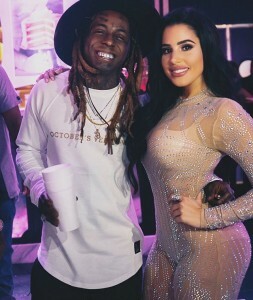 On November 26th, 2015, the record, “Crystal Ball”, by Lil Wayne featuring Stephanie Acevedo was released on his “No Ceilings 2” mixtape. 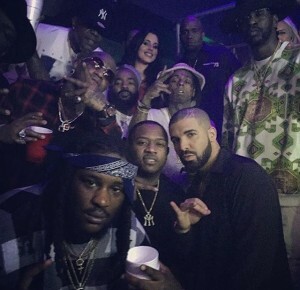 Lil Wayne has boasted incredible A&R skills in his decade plus long legacy by being a mentor, & boss to two of the biggest superstars in the music industry, Drake & Nicki Minaj. With Lil Wayne’s track-record, one thing I won’t be quick to question is how he can develop, & mold a talent he believes in over time. 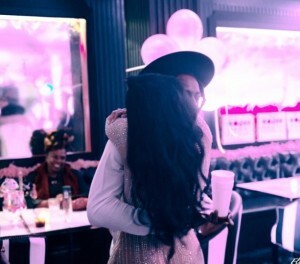 It is clear to see he believes in Stephanie Acevedo’s artistry in the exact same way! In 2016, the clip above was also released of Stephanie in-studio previewing an unreleased Lil Wayne record. You can clearly see from the information above that she is putting in her ground work in branding herself as an artist, & has been remaining consistent for years networking, & using her relationships to propel her artist career to this current point. She is more than just a pretty face, as she has earned the respect of one of the most prominent emcees in the world. She was also seen backstage at the Lil Weezy Anafest in 2017. 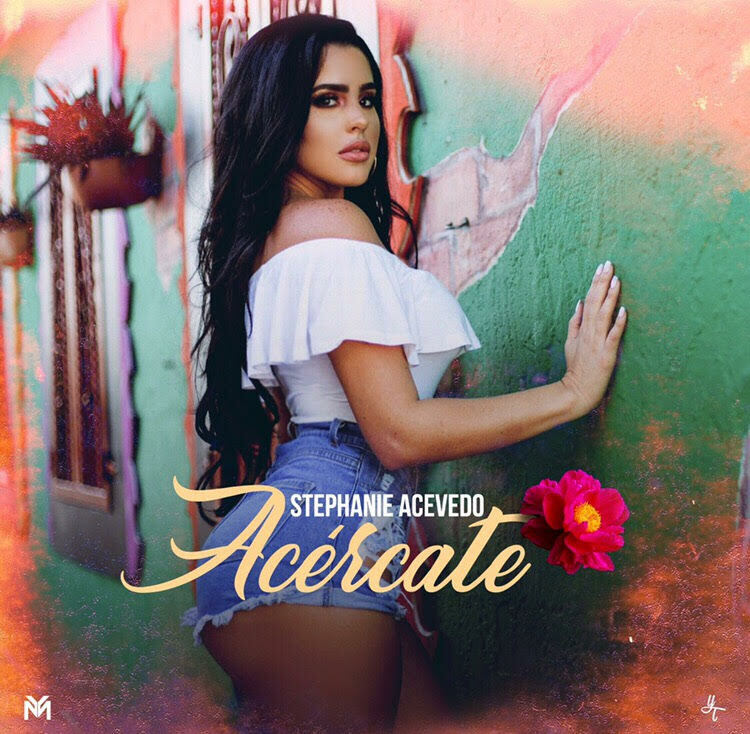 On August 14th, 2017 behind the scenes footage of Young Money’s latina first lady, Stephanie Acevedo, & her single, “Acercate”. The official video to the single was uploaded on Lil Wayne’s channel on October 6th, 2017. When you look at the comments under the video on the channel, it shows a lot derogatory statements about Stephanie, & claims about Stephanie using her sexuality to get ahead in her career. This makes me bring up the question when evaluating Stepahie Acevedo’s artist brand, are we as consumers really giving her a fair chance at proving herself?” Especially when actually judging Stephanie’s artistry. 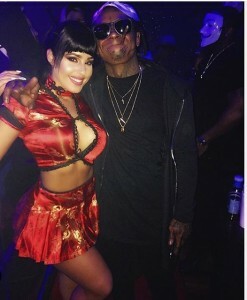 I think the first thing we need to state, so that this is an unbiased, &, fair assessment is the fact that her first single’s content was posted on “Lil Wayne’s official YT Channel”. 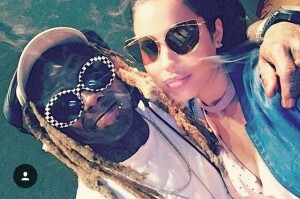 Being completely transparent, Lil Wayne fans while loyal to the Young Money brand are very eager to see their favorite artist out of this bind due to the legal situation between Lil Wayne/ Young Money/ & Cash Money/ & Universal Music Group. 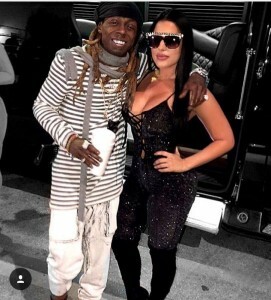 Lil Wayne fans have been anticipating the resolution of this legal situation, & Lil Wayne’s highly anticipated album the, “Carter V” for quite some time now. When fans specifically targeted for Lil Wayne get a notification that new content from “Lil Wayne” has been uploaded via Youtube, and it’s 98% mostly a Spanish speaking R&B crossover pop record/single from a virtually brand new singee. You have to keep that point in mind when evaluating why Stephanie is receiving unwarranted backlash from this video, & I believe it has nothing to do with the quality of the single, video, and/or her talent/skill level. I feel like it however has a lot do with the fact that is she prettier than the average woman, & that Lil Wayne fans are very restless, & just want their favorite artist back in a favorable position! 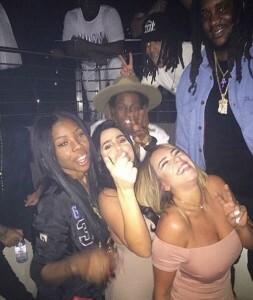 I think the video, & record sounds good especially seeing as how the label is currently in a pending lawsuit worth over 51+ million dollars , & an entirely separate but similar lawsuit situation against UMG for 40+ million dollars- (http://www.complex.com/music/lil-wayne-cash-money-beef-timeline/) . This means Young Money Ent. is seeking close to, or over, 100+ million dollars in unpaid, & back royalties which would be used to service the entire Young Money label, operations, & artist rooster alike. Not to mention you have artists and producers like T-pain, Bangladesh, David Banner, solving legal disputes with the company as well. While getting her music in line, Young Money starting marketing Stephanie by having her hosting night club events, & making special appearances in different markets around the world. It’s not an easy task to put out a product, market, & develop talent with such mental, & financial stress on both the executives, & talent alike at the label. 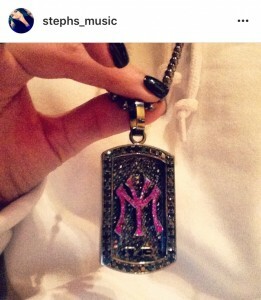 I think that has to be taken account when judging Stephanie’s singles as well because this is what she has to go through behind the scenes while creating a product she is satisfied with creatively to represent her, & the Young Money label. 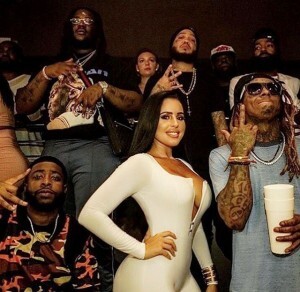 This is not an easy task for a new artist to deal with, & also screams volumes on Stephanie’s dedication, & loyalty towards Lil Wayne, & his team. 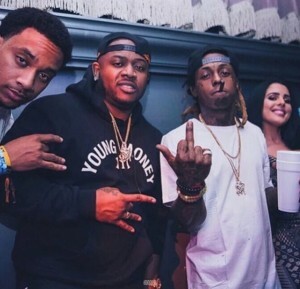 You can hear Lil Wayne’s GM & Young Money COO, Mr.Cortez Bryant, speak on the legal trials of the Young Money Company with joint venture partners, Cash Money & UMG below. 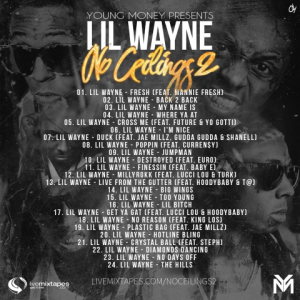 At 18:10 you can hear Mr.Bryant state how Wayne never wants his legal ventures to effect any of his artists which is why regardless of the on-going media circus, & legal disputes, Young Money artists have continued to put out content for fans, in spite of the adverse circumstances they are up against.